The Thursdays Live events commenced this April have been a hit with neighbors of all ages. 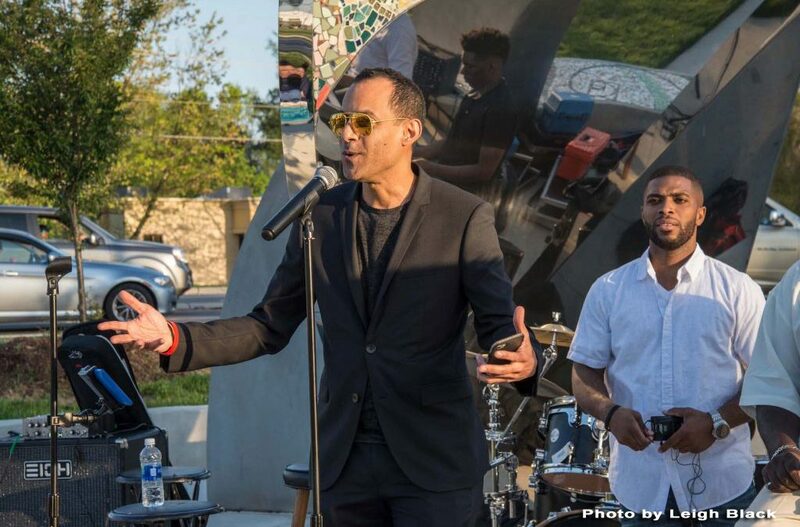 The events, held the second Thursday of each month, feature local bands and artists performing at the Embrace sculpture at the corner o f Monroe Road and Conference Drive. Thanks to all in the MoRA community who have worked to make these events happen including our sponsors. The events will be held from 6:00 – 8:00 PM. Free refreshments will be served. 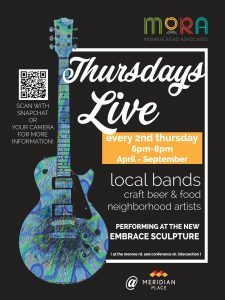 Visit Thursdays Live for more details and to learn more about the bands, artists and vendors scheduled.